I have just completed week 2 of my virtual book tour and, so far, the reviewers have been very kind about THE PORTRAIT. The Portrait by Hazel Stratham is the sweetest Regency romance! I absolutely loved this fun little book! The story is set in England in 1812. I love the era and really like this author's writing style. The main characters are a lot of fun. They are both really stubborn and at times it's a bit frustrating because they're just so darn pig-headed. But, it's all fun and sweet and very entertaining and heart-warming! My blog readers know that I review both Christian and non-Christian books. This one is not a Christian book, but it's completely family friendly! It's a very clean, very sweet historical romance. It's tough for me to pick a favorite character in this one because I love both the main characters, Edward and Jennifer. Most of all, I love their dynamic together and their bantering. And I always love the Regency era! I very highly recommend this book. It's an absolute delight! It's well written, the story line is light and fun and entertaining. It kept me turning the pages and I couldn't put it down. The characters stole my heart. It's positive, heart-warming, sweet and romantic! I would love to read more books like this one from this author! You can read an excerpt and follow all the blog tour stops here. 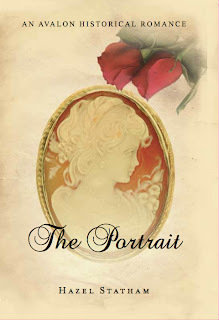 The Portrait by Hazel Statham is an absolutely endearing historical romance novel set in the early 19th century. Earl Edward Sinclair has recently returned home to Fly Hall after losing an arm in the battle of Salamanca and is trying valiantly to adjust to his new status, title, and limitations as well as his decision to set Lady Jennifer Lynton free of their engagement. Jenny and Sinclair agree to be friends, much to the dismay of their respective family members and their growing friendship provides fodder for the social season. Statham cleverly creates a cast of strong, relatable and delightfully fun characters. Both major and minor characters are certain to delight the reader in Statham’s charming story as forces work to try and bring Edward and Jennifer together through their younger siblings, Perry and Freddie, and their continuous and at times hilarious misdeeds as well as scandals. Statham has a special manner about her writing which gently draws the reader into the story. I look forward to reading some of her other works. 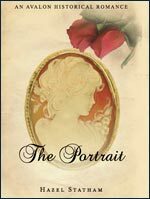 The Portrait is a sweet and enjoyable novel, which is certain to delight readers who enjoy a tender and family-centered historical romance.